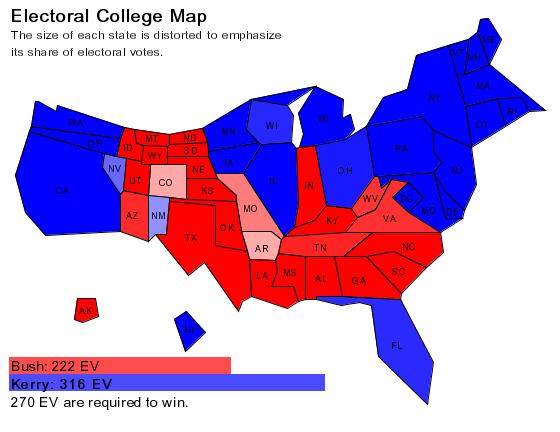 A Statistical Map is used to show, well, statistics such as population or polls. These maps are commonly used in political and sociological scenarios. The statistical map above was used to show what areas were leaning towards certain political parties in 2004. Here they used both colors and distortion to get their statistics across.